Need Something Repaired? Silver City is the best jewelry repair center in Ocala! Whether you need a ring sized, a chain soldered, or a stone reset, our jewelry repair staff can do that for you affordably and professionally! Our master jeweler has over 40 years of experience and is well known as one of the premier jewelers in the Ocala area. All repairs are done on site, with an average turnaround time of only 24 hours! 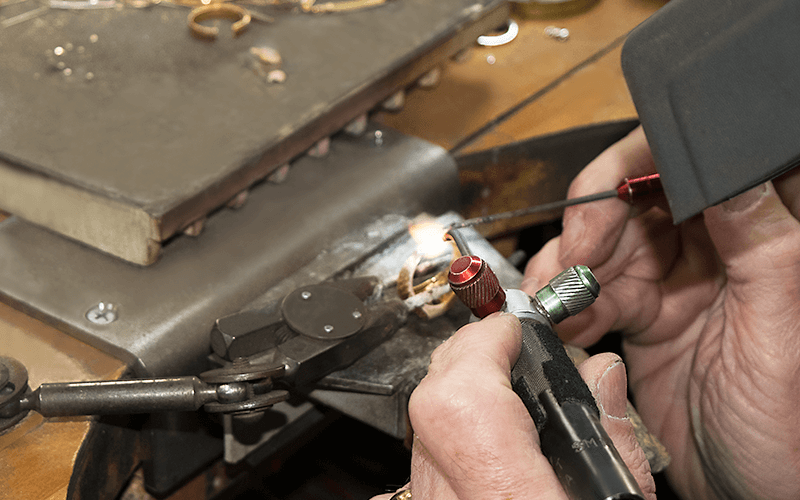 At Silver City we never send your pieces off, all of our repairs are done by our professional jewelers and with our state of the art equipment. And our service is extremely prompt, with most repairs being finished within 24 hours of being dropped off to us. If you can’t get back to it as fast as we finish it, don’t worry, we will keep it safe in our super-secure vaults until you have time to pick it up. We also fix watches, change watch batteries, and re-string pearls. If you have any type of jewelry that needs repairing, bring it in and we will do our best to help you out. Give us a chance to show you how, for over 40 years, we have provided best-in-class repair service in Ocala!